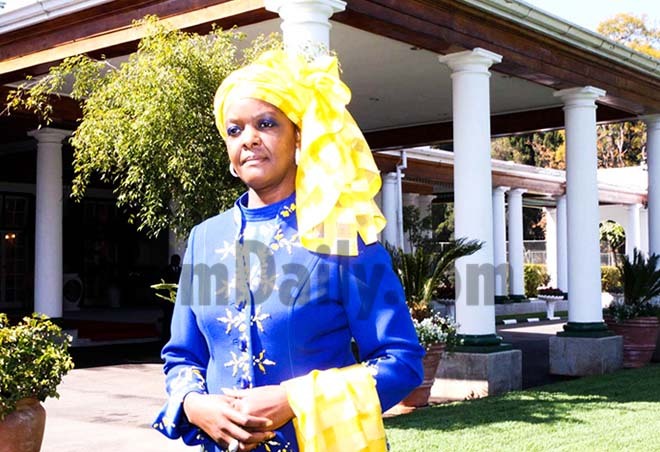 ZMBABWE – The MDC says First Lady Grace Mugabe might be the “world’s first female dictator” and seek to torment her adversaries in Zanu PF. MDC national organising secretary Shepherd Dube yesterday told Southern Eye that developments on the ground showed that Grace was keen to take over power from her husband, President Robert Mugabe. politicians, and amend the Constitution to make herself the life President of Zimbabwe,” Dube said. Dube also said former Vice President Joice Mujuru was not yet “completely out of the Zanu PF succession debate” because she had more backing from the military than both the First Lady and Vice President Emmerson Mnangagwa. “As Jonathan Moyo says, Mnangagwa is not a crocodile but a mere ambitious lizard. In terms of military backing, Mujuru actually has more military backing than both Mnangagwa and Grace. And I am not one of those people who believe that Mujuru is completely out of Zanu PF succession race,” Dube said. Mujuru was fired from Zanu PF along with over 141 of her perceived loyalists on allegations of plotting against Mugabe. She is linked to a new political movement, People First that aims to challenge Mugabe’s hegemony in the 2018 general elections. Mnangagwa and Grace are reportedly in a succession tussle as Mugabe advances in age. Dube said the military would likely be hostile to a Mnangagwa rule in support of Mujuru.